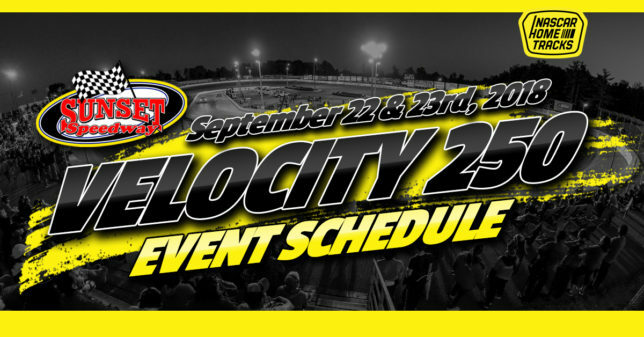 VELOCITY 250 – SUNDAY DAY 2 – Great Lakes Concrete Last Chance Late Model & 75 Lap Feature + Last Chance Super Stocks & 50 Lap Feature + Last Chance Mini Stocks & 35 Lap Feature + 25 Lap Bone Stock Feature + OSCAAR Modifieds + OSCAAR Hot Rods + Outlaw Midgets + Ontario Outlaw Super Late Models! SAVE $$$ – TWO DAY PASSES ARE AVAILABLE! Camping is available on a first come first serve basis, and opens for parking on Wednesday afternoon.